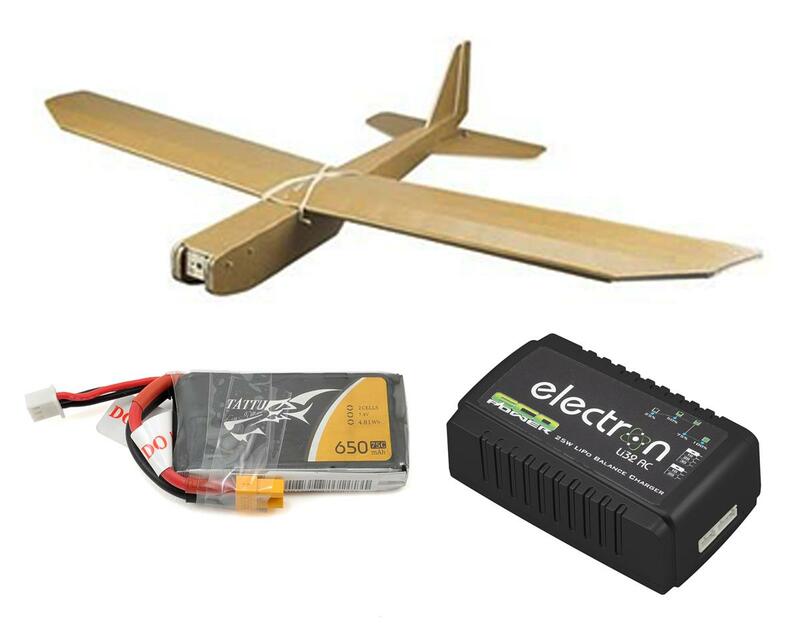 The Flite Test Tiny Trainer Ger Started Pack is a perfect step into the world of radio control airplanes. The pack consists of everything you will need to get in the air for the first time, including tools that can be used over and over as you continue to grow in the hobby. The Tiny Trainer Get Started Pack is a simplistic approach to allow complete new people interested in the hobby to easily get started and scratch the curiosity itch without much pain of ensuring the components you're buying are all compatible with one another. I am new the the world of RC planes and from looking around online this looked like my best bet and if you tick all the option boxes you will get everything you need to assemble it(if you are a beginner get EXTRA PROPELLERS you will crash and break them). It took me about six hours to assemble(it was my first build so I kept double checking the video) you should use their helpfull youtube video, the printed instructions are difficult to understand. Also build the glider first with the rudder and elevator, it is way easier to learn how to fly it this way. A great beginner plane overall the only reason I didn't give it five stars was because when I crashed it their was no spare foam boards and you can only buy it in packs of 25 min. Flite Test Mini Wheel 1.1"